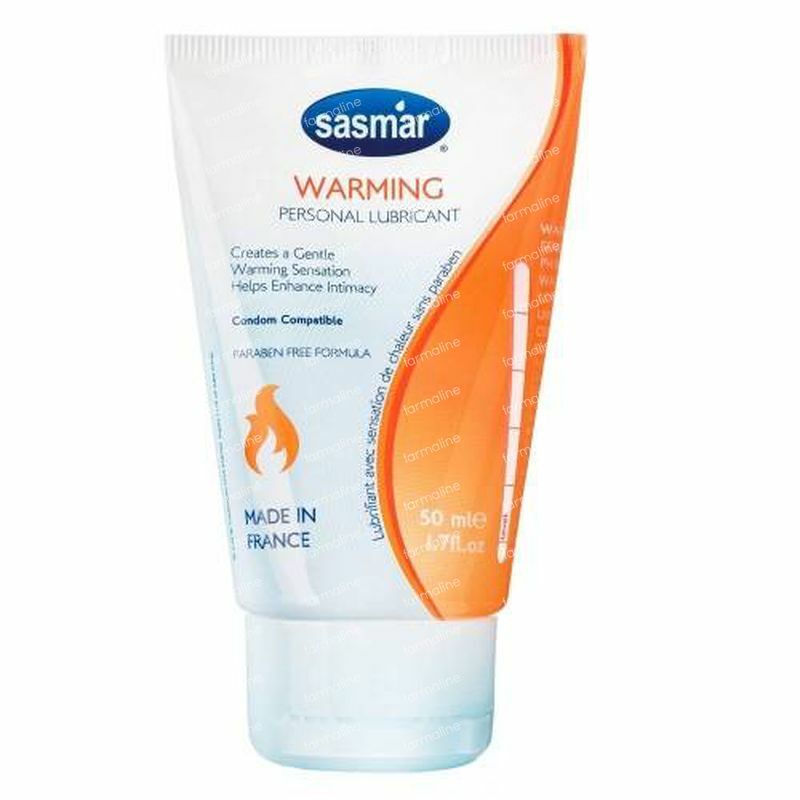 Sasmar Warming Personal Lubricant 50 ml order online. Sasmar Warming is a premium silky smooth water based lubricant that helps to enhance pleasure and intimacy by creating a gentle warming sensation on contact. May be apllied inside and outside the condom to increase sensations. Sasmar warming water based personal lubricant is intended for penile and/or vaginal application, facilitates condom use, provides additional moisture to relieve vaginal dryness and enhance pleasure during sexual intimacy. Sasmar Warming is compatible with natural rubber latex, polyisoprene, and polyurethane condoms. Target users 18 -45 years.